The sun is setting over the lush forests of south-central Arkansas on another scorching hot, humid summer day. 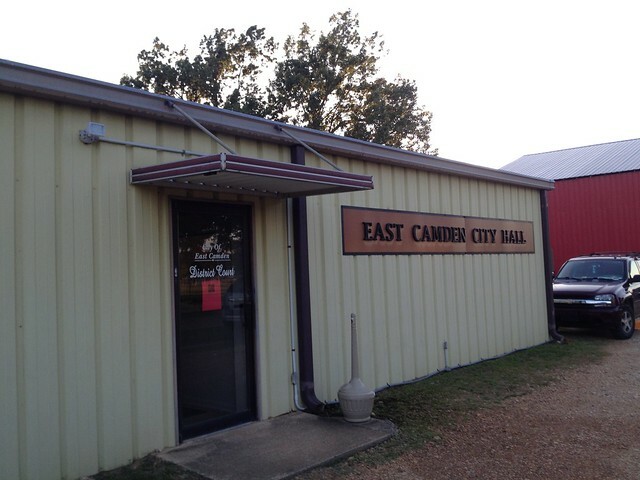 As lights begin to flicker on in the homes of East Camden, the all-volunteer city council and a handful of community members are trickling in to a metal-sided building. Most cars that pass by hardly glance over, country and gospel music leaking through the stillness in their wake. At twenty miles per hour, it would be easy to dismiss the small modular warehouse that serves as the East Camden City Hall. 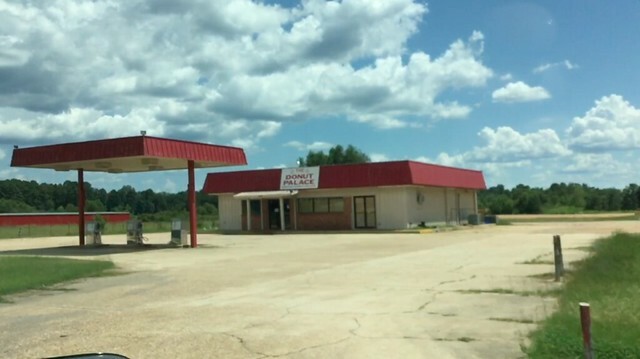 What the passersby may not know, however, is that tonight, the makeshift City Hall is at the center of a plan for the revitalization of this distressed rural area and a revolution for the utility sector. The volunteer mayor of East Camden invites the crowd of twenty people to join her, opening the meeting with a prayer and the pledge of allegiance, before settling in to business. Then, Mark Cayce, CEO of Ouachita Electric Cooperative, takes the floor to present on their new set of initiatives. There is the HELP PAYS energy efficiency program – saving Ouachita’s members 40-50% in energy usage with no upfront customer cost. He details the fiber optic program that will bring broadband service into every East Camden home by the end of 2016. And he wraps up with a status update for the 1-megawatt community solar project being deployed this fall. The small group is stirred by Mr. Cayce’s presentation, marking a distinct difference from their expectations of a business-as-usual meeting. Several community members probe further, asking for clarification and requesting follow- up to receive these services in their own homes. It is hard to convey just how ground-breaking these opportunities are in the larger national landscape of electric cooperatives – the utility formation that serves 42 million Americans and 93% of all persistent-poverty counties across rural America. For decades, electric cooperatives have clung to the status quo: standing behind coal-power generation, maintaining their virtually unregulated status, low member participation, and limited involvement in community and economic development. Some of the most concerning accounts of electric cooperative’s poor practices occur in this very region of the Southeast, particularly across Black Belt Counties with a long legacy of exclusion. But, Ouachita Electric has worked for years to ensure their members are educated and engaged in the cooperatives’ activities. Ms. Angela Moore, a Ouachita member, recalls knowing what it meant to be in an electric cooperative “ever since (she) was a little girl. We would get the books every month and all the information was there… We are owners of our own power company.” This long history of member education has allowed Ouachita Electric Cooperative to build trust with their members. Mark Cayce is not unlike the millions of smart and humble rural folks that have been largely written off in post-recession America by today’s economy, by declining school systems, and by fast-moving urbanites who have long come to establish our country’s definition of success. While rural folks are being left behind in today’s world, Mr. Cayce has seen an opportunity to build a new future for the 9,400 households that Ouachita Electric Cooperative serves across Ouachita, Calhoun and Dallas counties, with an average household income of $33,000. But, the East Camden industrial park is no longer the bustling place that makes just about everything. While it still has defense industries – Aerojet Rocketdyne has committed to staying, recently partnering with Ouachita Electric to implement the largest solar farm in Arkansas – many other industries have pulled out of south Arkansas over the last twenty years. A factory closure in the ‘90s laid off 1,500 employees. The paper mill closed in 2000, leaving nearly 1,000 previously well-paid, unionized employees jobless. In 2011, the diaper factory moved to Mexico, taking 500 jobs with it. While many have left the region, seeking work elsewhere, those that have kept on in south-central Arkansas have their reasons for staying. They like being close to family and having a piece of land to call their own. “I don’t envy these people that live in these places [where there’s] rapid growth where you kind of lose sense of community,” Mr. Freeland remarks. They prize their yards, with chickens or okra or peach trees. When they turn the lights out at night, they find peace in the silence beneath a clear, star-studded sky. But at the same time, they’d like to see jobs come back home. For the many households on a fixed income, who may have to choose between paying their electricity bill and buying groceries, this can make a world of difference. “Dollars saved are dollars put back into the local economy,” says Mr. Cayce. Ouachita expects to expand this program in the coming years, and is looking to a number of financing options to make it possible. The HELP PAYS program has knock-on effects across the local economy. On the front-end, Ouachita’s programs require contractors, energy auditors, construction workers, solar installers, and maintenance jobs. Ouachita is actively working to ensure that those jobs are created locally. In the longer-term, as other cooperatives and utilities catch on, Ouachita hopes to become the hub for training, supplying and even manufacturing in the clean energy industry. 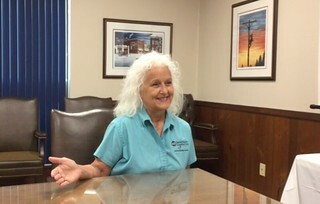 “I don’t want dial-up,” Ms Angela Moore says about the primary option for rural residents, “It’s slow as Christmas.” Kids and adults can both use broadband to further their education, for homework and for distance-learning programs. 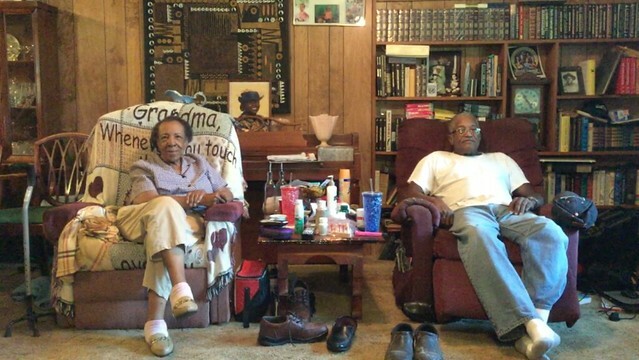 Remote- working can help residents to stay in their home communities while having a good job. Internet access can improve the viability of rural small businesses for attracting business and ordering materials. And it can give Ouachita the necessary edge with industries interested in expanding in the region. While Mark Cayce is the man leading the charge for Ouachita, the key to success for Ouachita Electric has been a long-standing culture of member engagement. 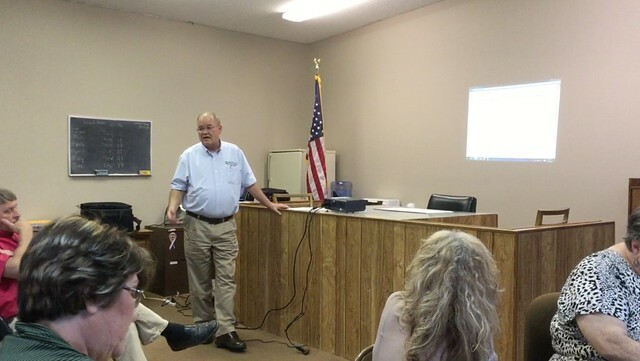 Ouachita Electric members stay informed and involved with their cooperative. They take seriously their rights and responsibilities as member-owners of the cooperative. In 2001, they put these rights to the test. After a series of disagreeable decisions by the former CEO, members and employees confronted the board of the cooperative. When the board wouldn’t budge, the members organized themselves and nominated a set of board candidates that would represent their interests. In only two years, the member-driven rebellion replaced 100% of the board representatives. The new board, taking up the message of change, hired Mr. Cayce as CEO and has been pushing a new agenda ever since. While this new direction has benefitted all Ouachita members, there is much more the cooperative can do to meet its community’s needs. The service area is 60% African-American, yet, Angela Moore can only recall 7 African-American employees in the last 40 years. “It’s not what you know, it’s who you know. Even in the cooperative,” says Angela. “We don’t get the jobs. I hate to say it, but it’s the truth.” Over that same time, the cooperative has never had an African-American board representative. Despite these present challenges, several Ouachita members feel that the co- op is doing its job. “Without having an African-American on the board, we’ve been treated right,” Angela Moore mentioned. “I don’t have a problem with who’s on the board, because they’ve always taken care of us.” For other members, local representation can be a sticking point. Mrs. Kristine Disnute votes every year, so that the board has “somebody that we know, not just all strangers…to make sure that we get the benefits.” “There’s always been someone in the area that serves on the board,” says Mr. Eddie Disnute. 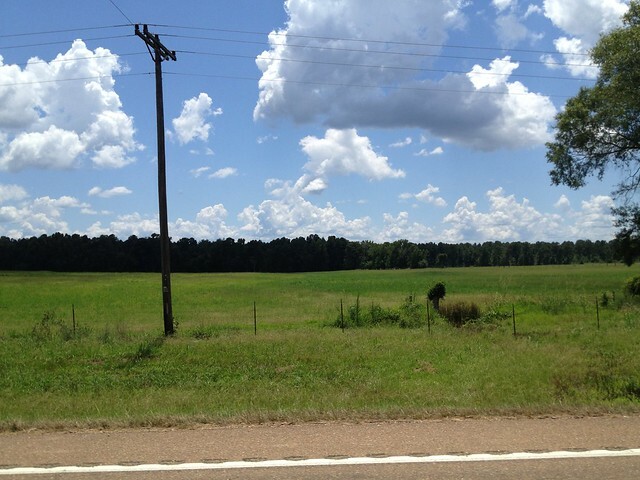 Ouachita Electric has demonstrated the power of the members to determine their own path. Mr. Cayce and the employees at Ouachita Electric have taken up the call put out by their members, and are laying the infrastructure for a hopeful and renewed future. This has empowered Ouachita’s members to dream big about their future, too. 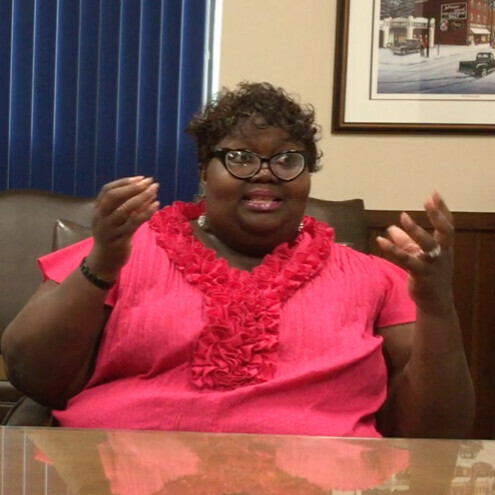 “I have a vision,” says Ms. Angela Moore, “I just need the provisions.” With a local and supportive cooperative, those visions have a chance to become reality. Ouachita Audio Collage – Cooperative members and employees share their thoughts on the values of their community, the challenges they face, and their visions for the future of rural Arkansas. Post & Photos by Grant Williams.